Mansfield Energy is excited to be a featured exhibitor during WasteExpo 2019, May 6-9th at the Las Vegas Convention Center in Las Vegas, Nevada. 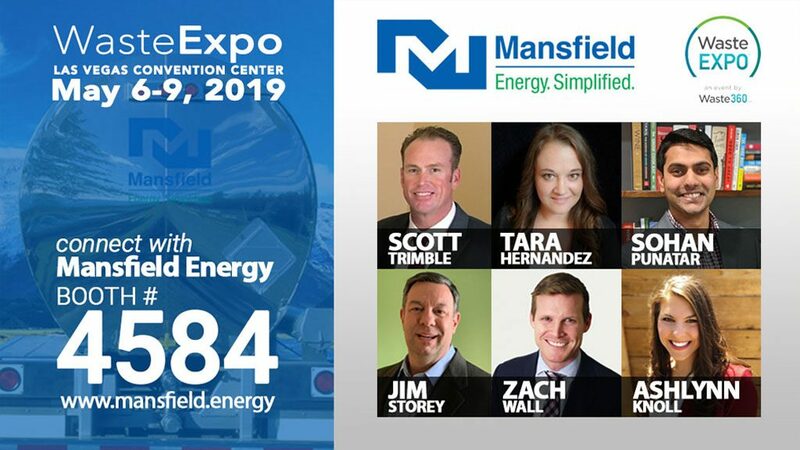 The conference is the largest waste and recycling trade show in North America, and our team is looking forward to interacting with customers and meeting attendees interested in learning about Mansfield’s fuel management programs tailored to lower the total cost of fuel procurement. 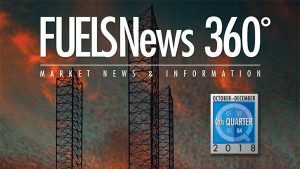 Helping leading waste management organizations improve efficiencies, reduce costs, and enhance visibility across operations to reduce time spent in fueling queues, Mansfield is North America’s trusted partner for reliable fuel supply, superior logistics, and strategic fuel management solutions. Mansfield offers FTL and LTL and Mobile Fueling Diesel and DEF deliveries, Fleet Cards to support daytime fueling, Natural Gas, Fuel Quality programs to minimize vehicle downtime, Fuel Systems and Services to install and maintain backyard storage tanks, Risk Management solutions and consolidation programs with enhanced data management. Mansfield will exhibit during WasteExpo 2019, May 6-9, Las Vegas Convention Center in Las Vegas. Exhibit Hall Hours: May 7 & 8: 10 a.m. – 5 p.m. | May 9: 10 a.m. – 1 p.m. Contact a Mansfield team member today to plan a consultation during the conference. 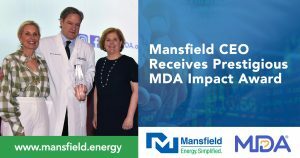 To learn more about Mansfield Energy, visit www.mansfield.energy. WasteExpo is sponsored by Waste360 in collaboration with the National Waste & Recycling Association, the trade association representing private-sector U.S. waste and recycling companies.